Lonnie’s has a back­ground in com­puter sci­ence and psy­chol­ogy. She com­pleted her under­grad­u­ate degree at the University of British Columbia with a BSc in Cognitive Systems, a pro­gram that com­bined psy­chol­ogy, com­puter sci­ence, lin­guis­tics, and phi­los­o­phy. 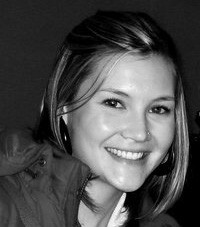 While at UBC she worked as an RA and man­ager of the Visual Cognition Lab with Dr. Ron Rensink, where her pri­mary focus was a study on visual atten­tion & inat­ten­tional blindness. Lonnie’s cur­rent work in the iSpace Lab is focused on indus­try appli­ca­tions of Virtual Reality sys­tems and how indi­vid­ual and/or system fac­tors can impact the effec­tive­ness of those appli­ca­tions. Earlier this year, she com­pleted a study at the Boeing Company that looked at the impact of screen size, visual fidelity and indi­vid­ual dif­fer­ences (specif­i­cally: com­puter expe­ri­ence and spa­tial ori­en­ta­tion) on nav­i­ga­tion per­for­mance in a 3D CAD model of a com­mer­cial airplane. Lonnie is also a part of the Visual Analytics research part­ner­ship between Simon Fraser and The Boeing Company. Since 2010 she has worked in the Boeing Environmental Health and Safety depart­ment devel­op­ing a new method of analy­sis to cor­re­late injury and pro­duc­tion data. Riecke, B. E., & Hastings, L. (2011). 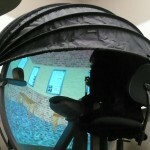 Do Virtual and Real Environments Influence Spatial Cognition Similarly? Poster 1031 presented at the 52th Annual Meeting of the Psychonomic Society (Psychonomics), Seattle, USA.